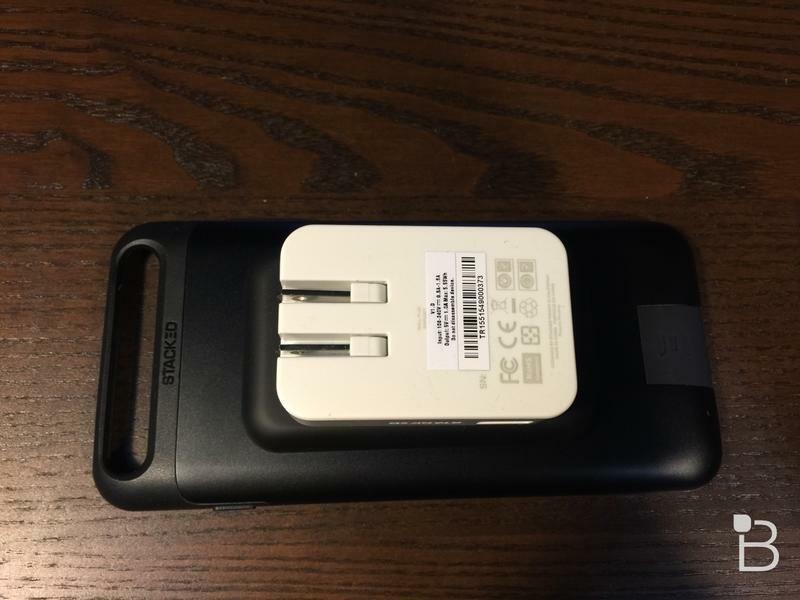 Apple finally admitted that iPhone battery life might be an issue this year when it released the Smart Battery Case, but the company’s own solution isn’t very pretty. 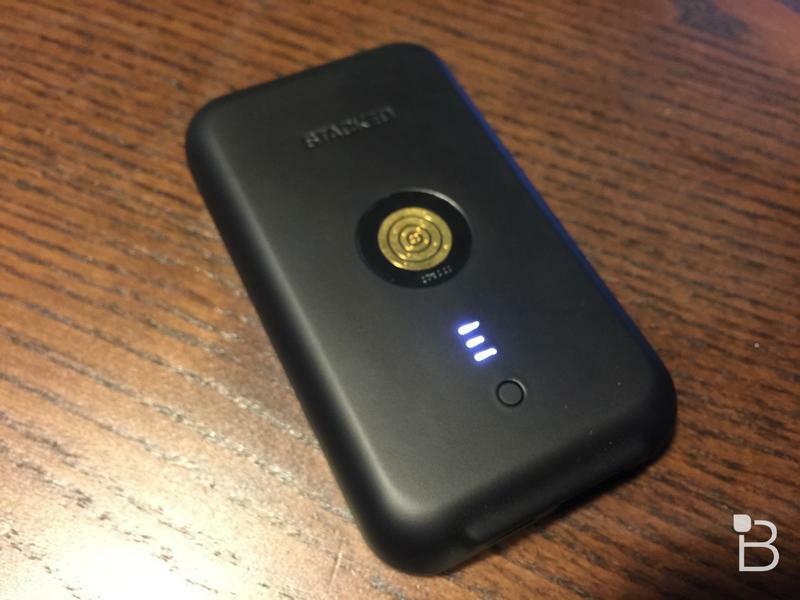 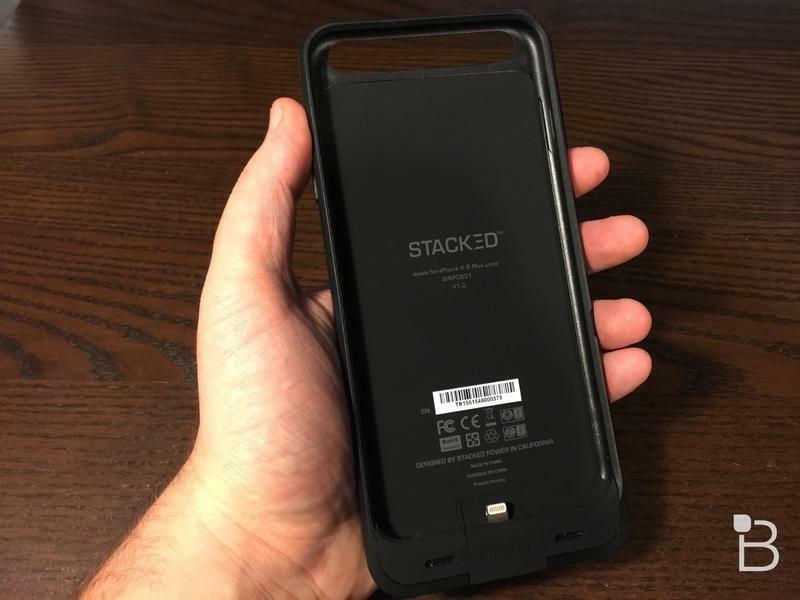 If you don’t feel like strapping a permanent hump to the back of your smartphone every time you leave the house a new option called Stacked offers a much more elegant solution. 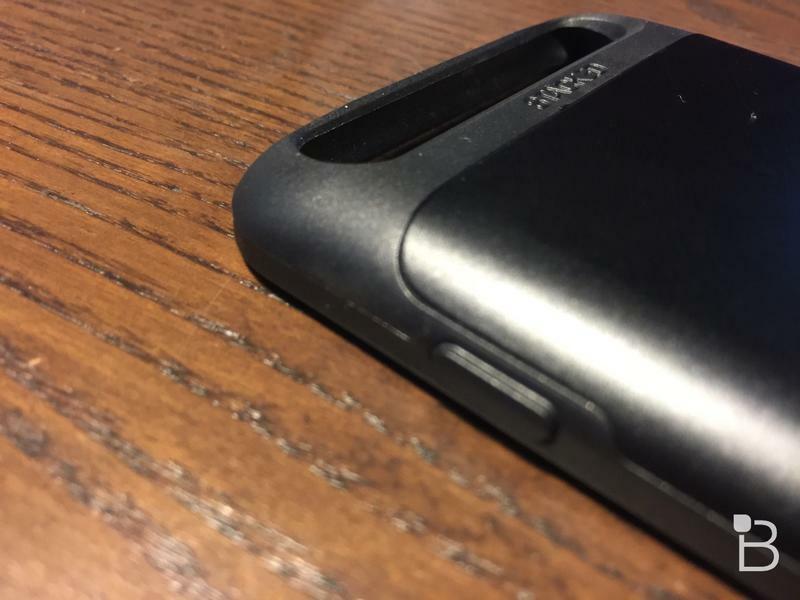 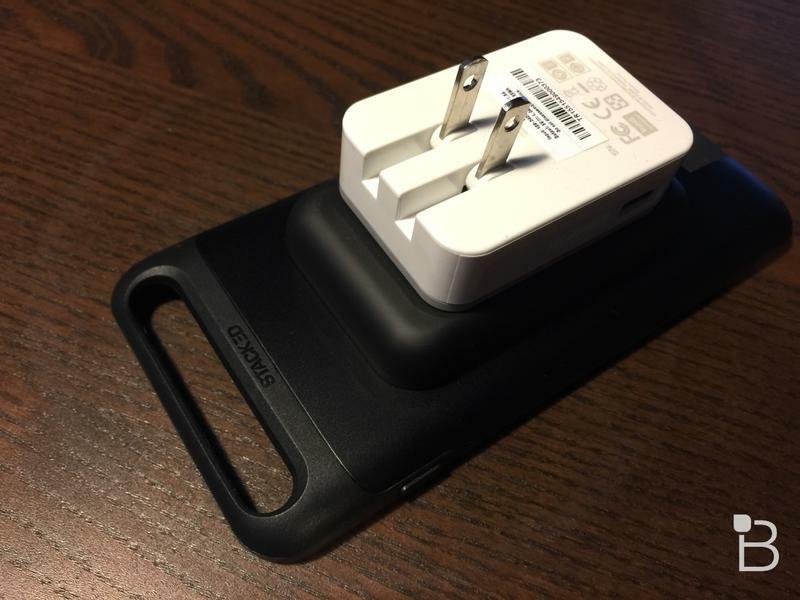 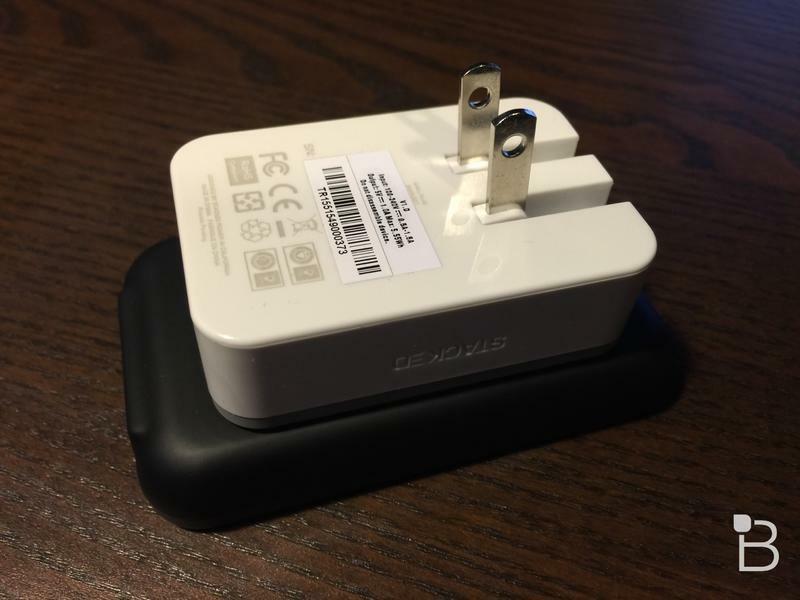 Stacked uses magnetic wireless charging to keep your iPhone powered up. 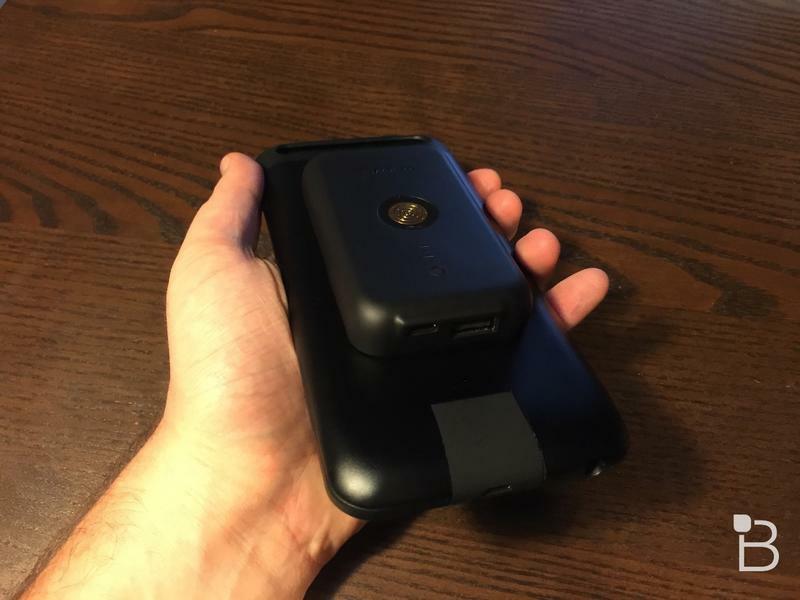 It’s made up of two main parts: a special case and a power pack. 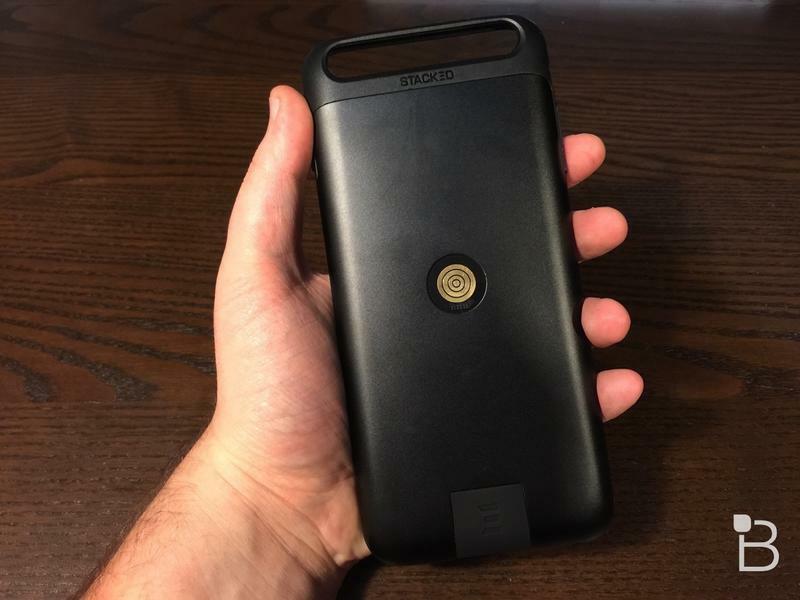 The case stays on at all times, and doubles as a protective cover, while the power pack can wait in your bag until you actually need it. 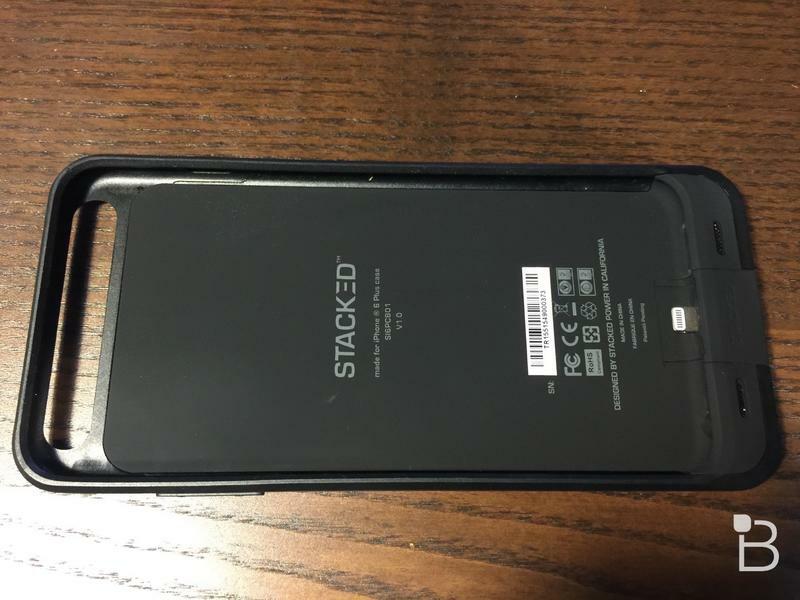 On its own the case looks just fine. 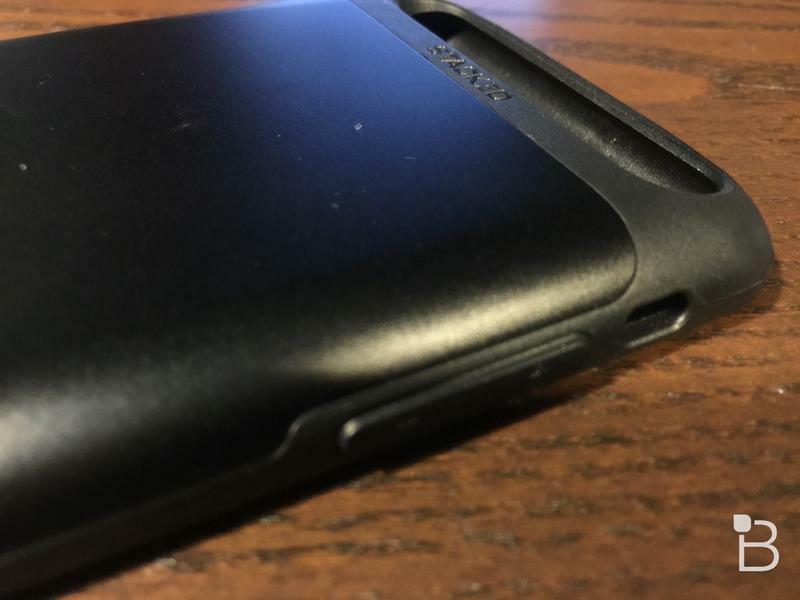 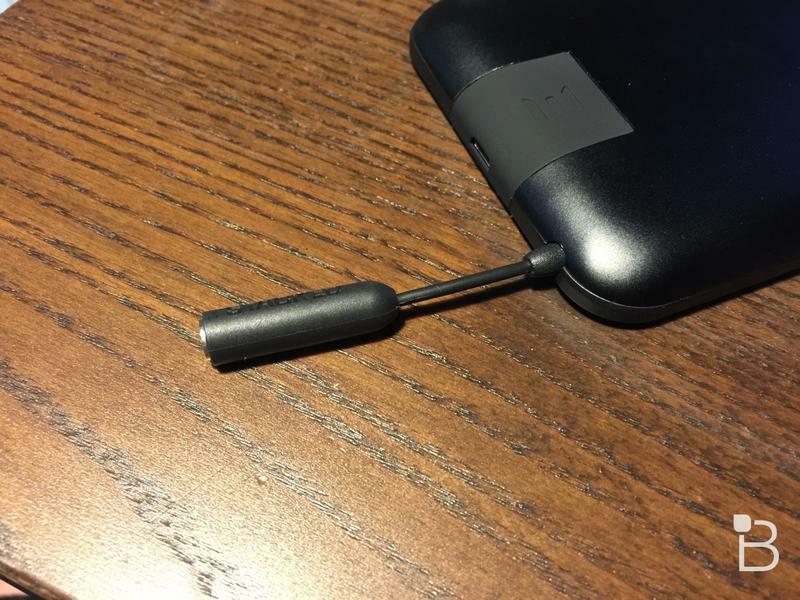 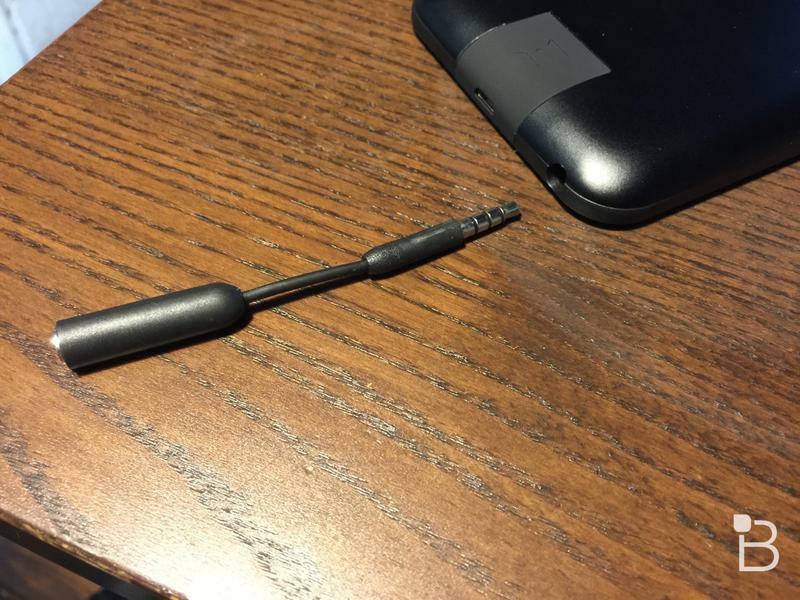 It’s made of smooth matte plastic that doesn’t add too much weight, though it does give the phone an extra long chin to make space for a built-in Lightning connector. 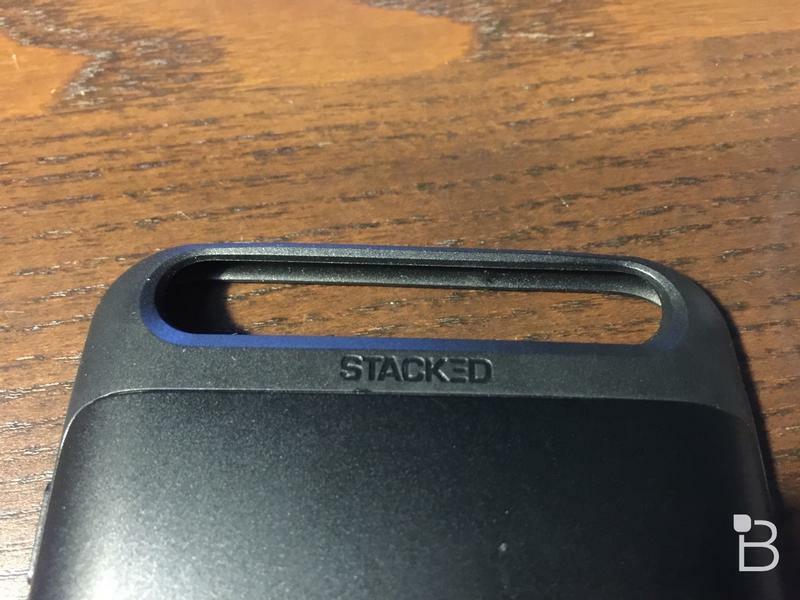 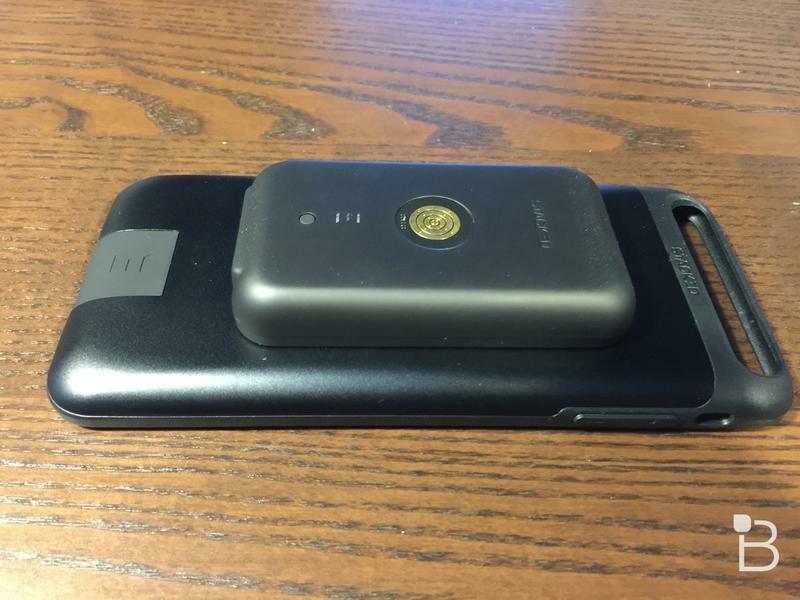 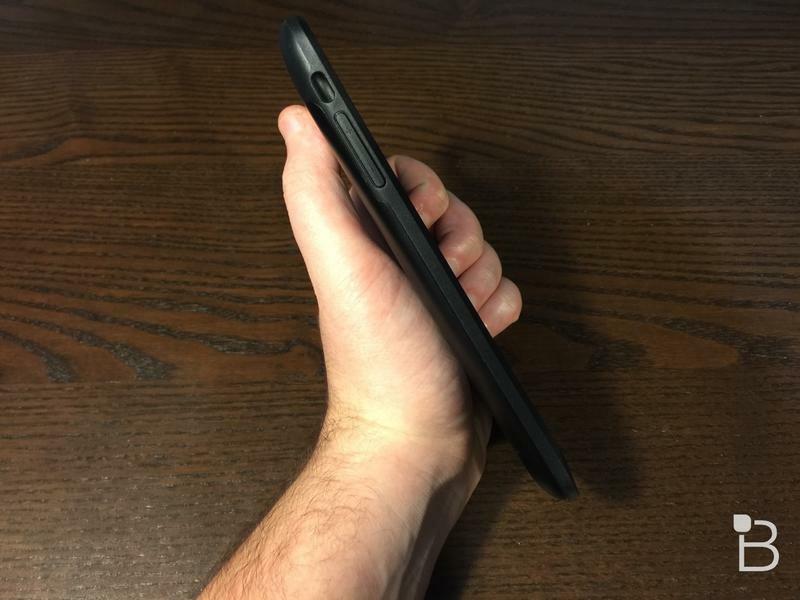 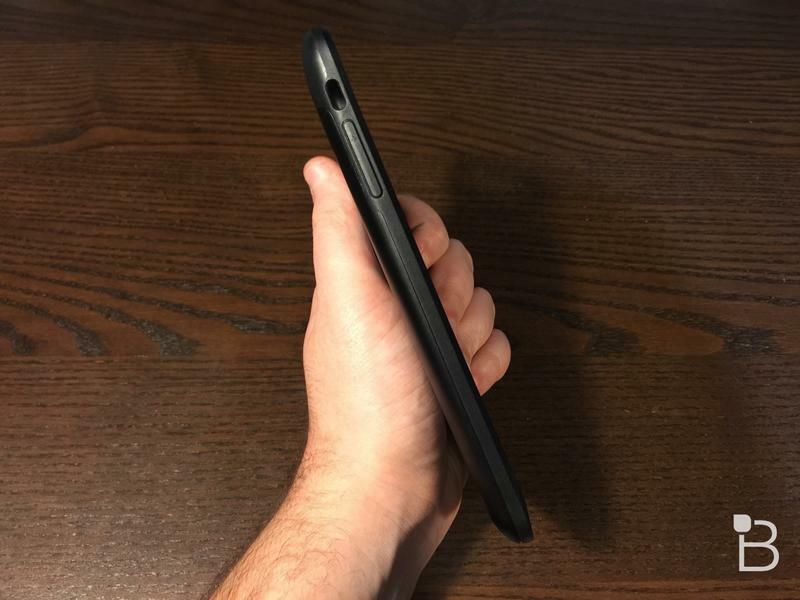 Even with the case on and a little extra bulk I was still able to use my iPhone 6 Plus with just one hand. 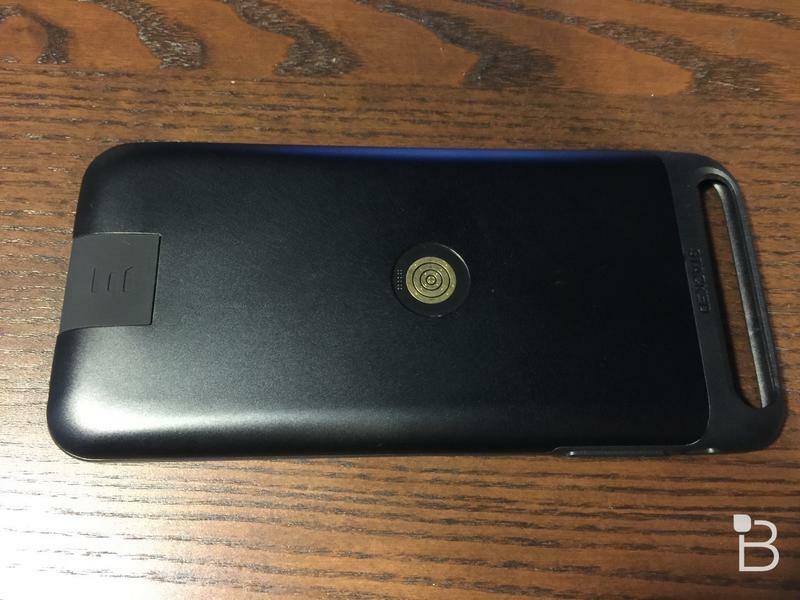 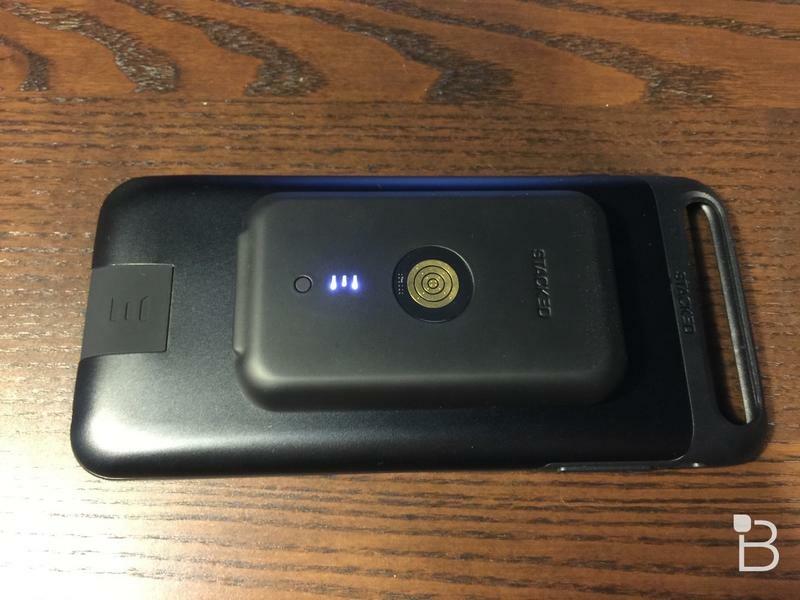 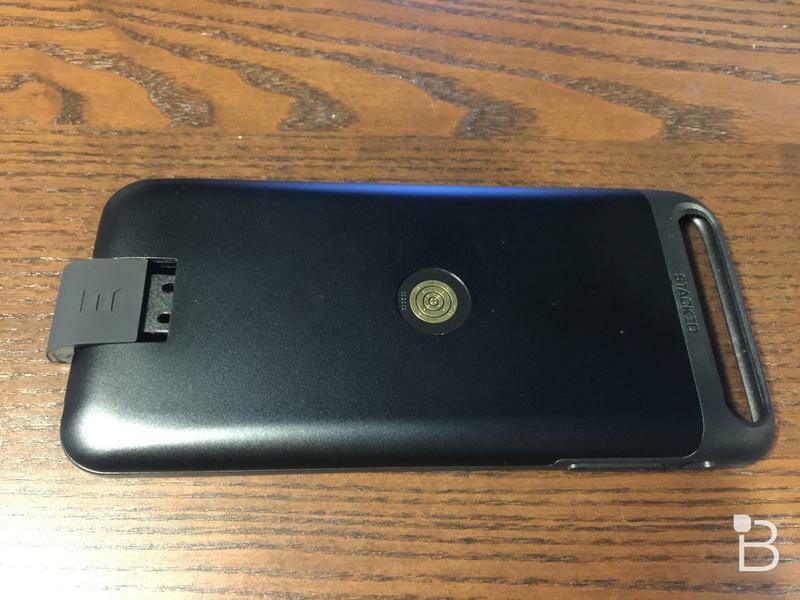 When you do run out of juice the power pack sticks right onto the back of the case magnetically. 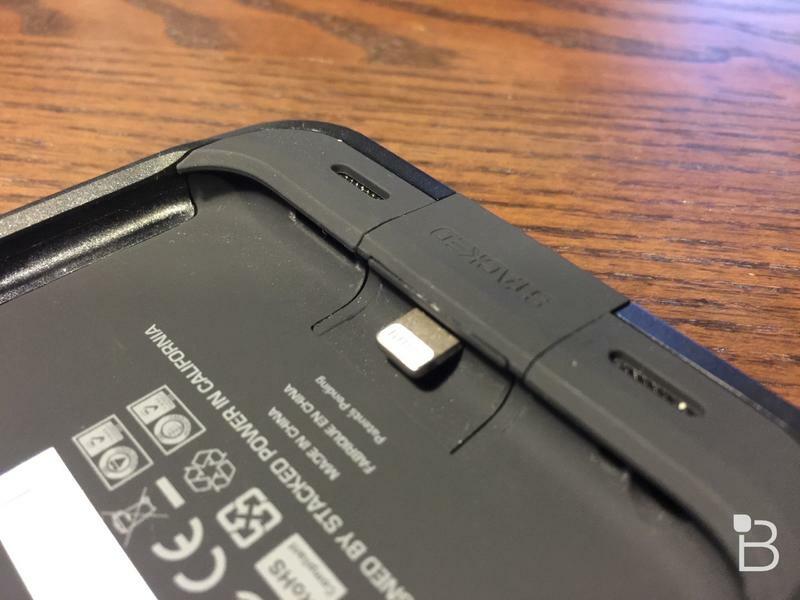 Snapping the two pieces together feels extremely satisfying and the connection is strong enough that you can hold your phone by gripping the battery pack. 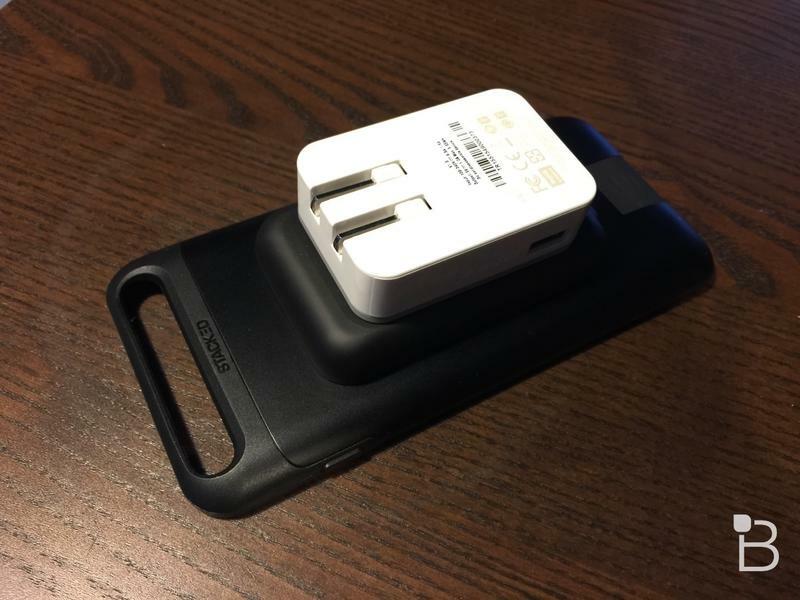 To start charging just press the small button in back and you’re good to go. 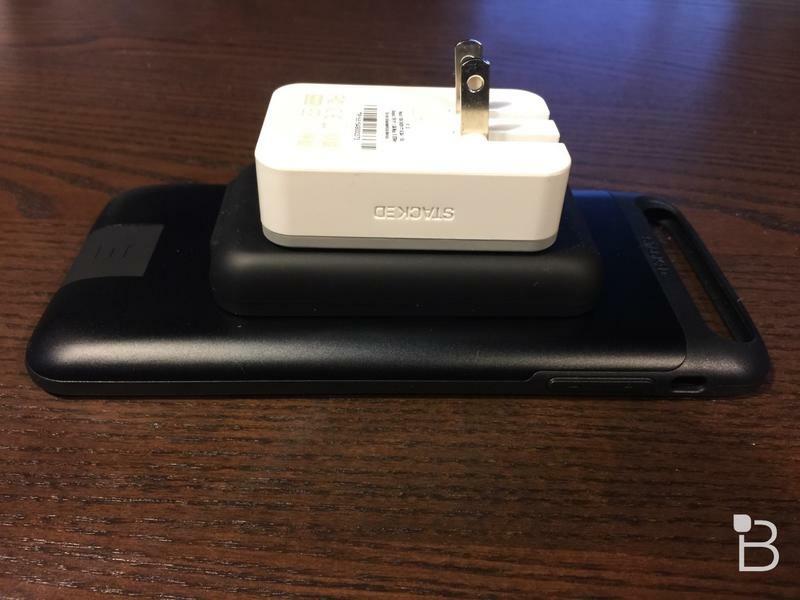 You charge up the power pack with a special plug adapter using the same magnetic charging system. 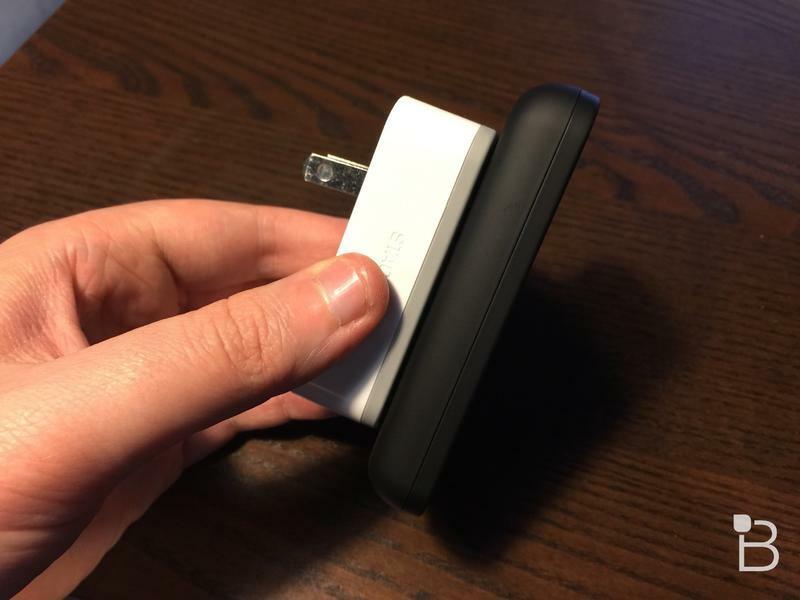 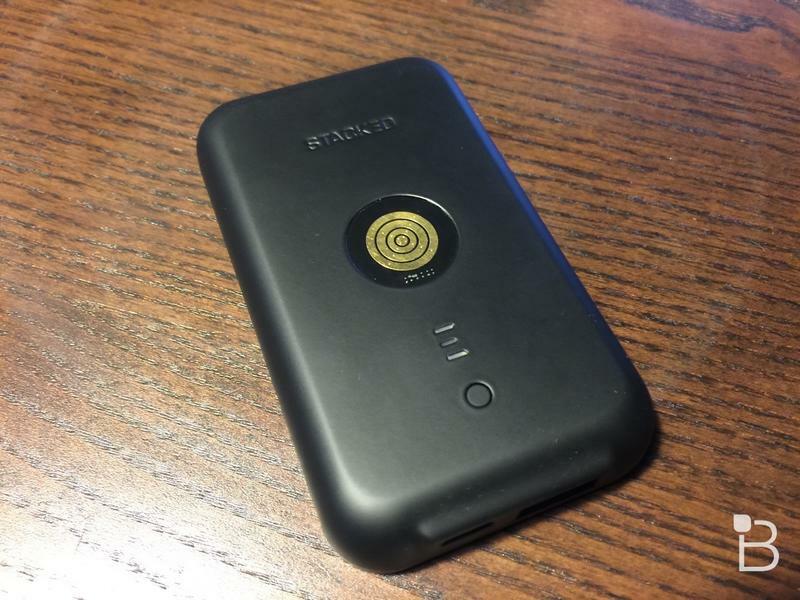 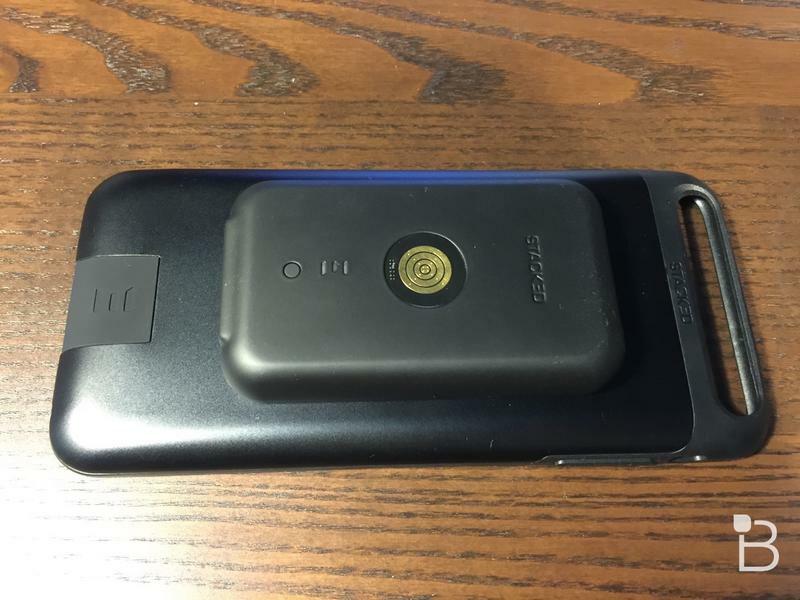 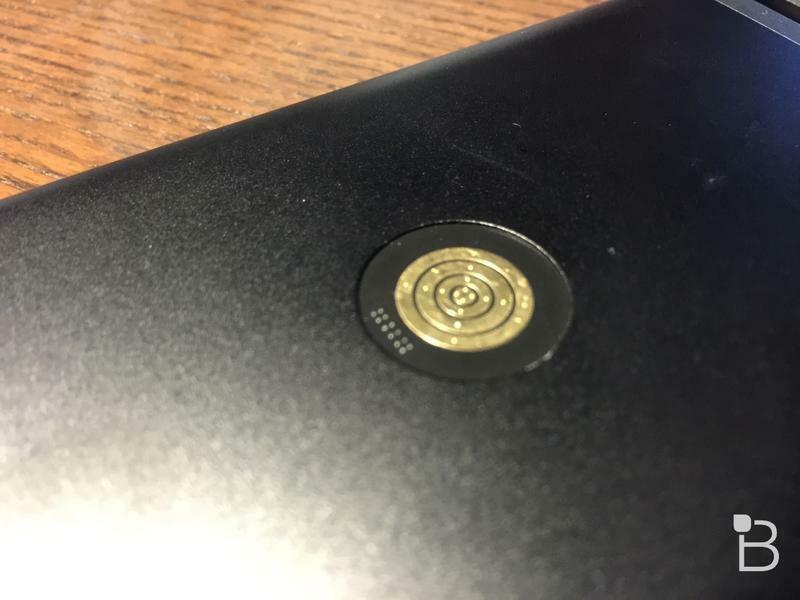 That means you can charge your phone wirelessly without the battery pack as well. 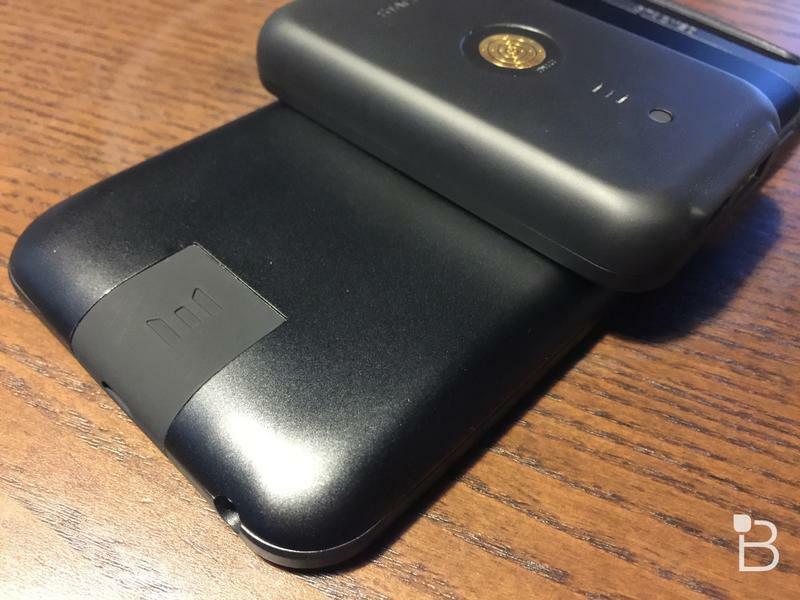 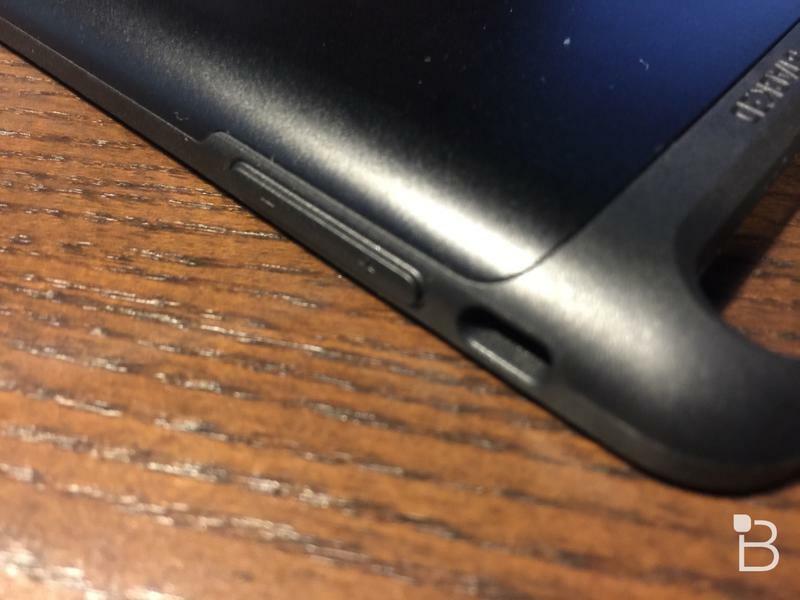 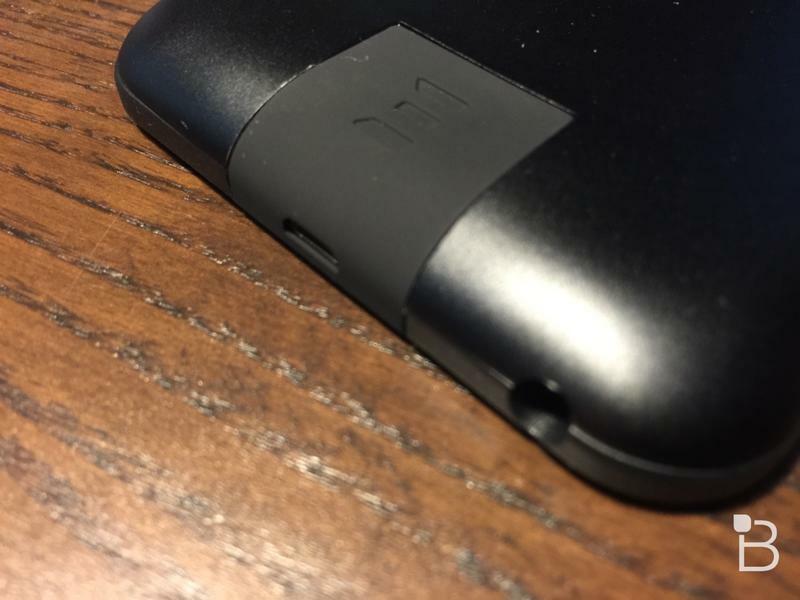 You can also use the external battery to charge other devices thanks to built-in USB and microUSB ports. 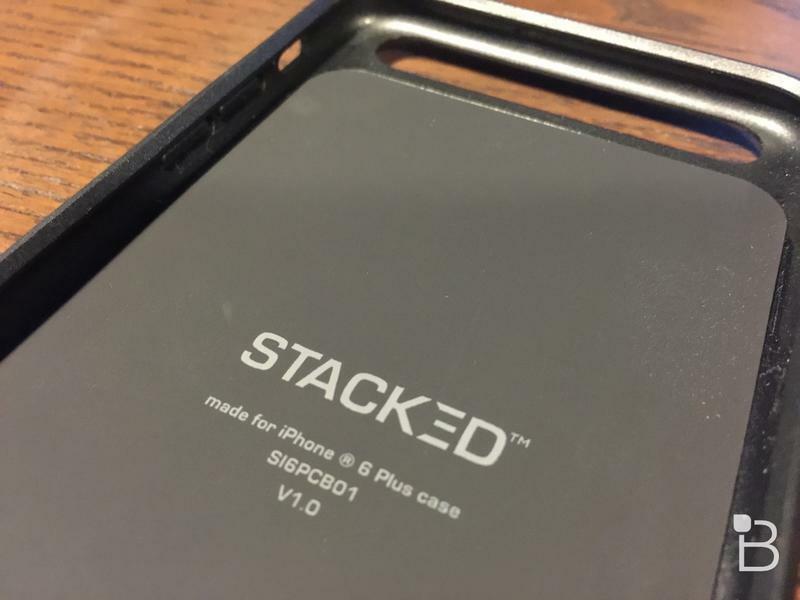 Stacked is available now in black, white or gold for $129, and comes in iPhone 6s and iPhone 6s Plus sizes. 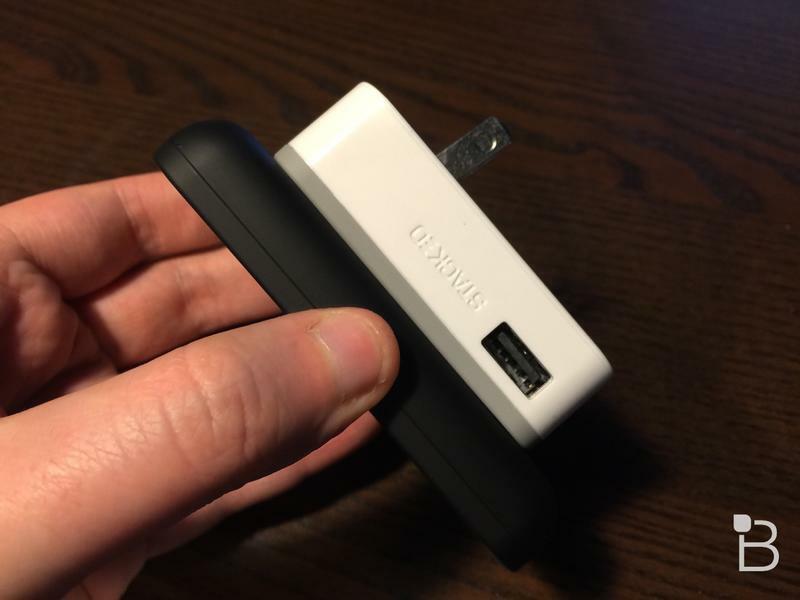 It includes one power pack out of the box, and you can always order more for $58 each. 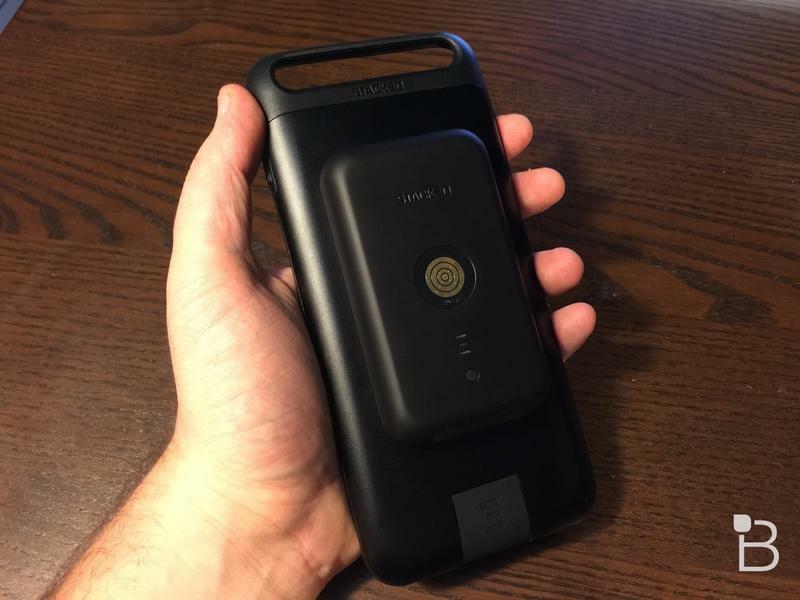 That’s a bit more expensive that Apple’s Smart Battery Case, but in return you get wireless charging and a sleek design that you won’t be embarrassed to take out in public.